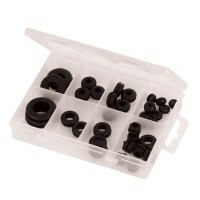 Fixman 255645 Rubber Grommets Pack Features Quantity: 35 piece. 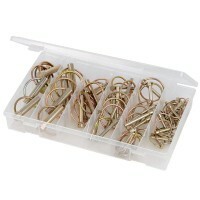 Open rubber grommet..
Fixman 637511 Split Pin Pack Features Quantity: 175 piece. 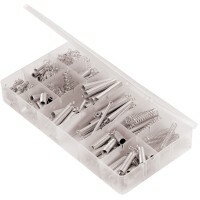 Zinc-plated for corrosio..
Fixman 642721 Split Pins Pack Features Quantity: 555 pieces. 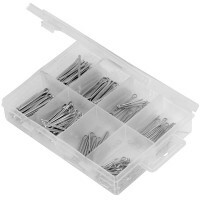 Zinc-plated for corros..
Fixman 885554 Workshop Spring Pack Features Quantity: 200 pieces. 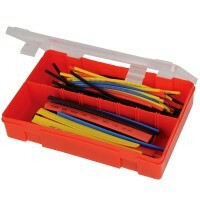 BZP spring steel ..
Fixman 828147 Heat Shrink Tube Pack Features 95 piece pack of assorted heat shrink tubing..
Fixman 249505 Lynch Pins Pack Features Quantity: 50 piece. 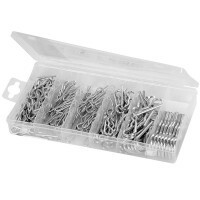 Yellow zinc passivated f..
Fixman Retaining Clips for use with Clevis Pins Features Quantity: 150 pieces. 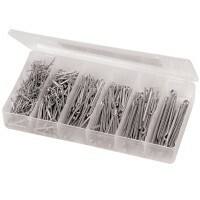 Zinc..